Our latest Rainbow Plants catalogue is out now, showcasing the range of plants available in pot sizes from 1L to 250L. 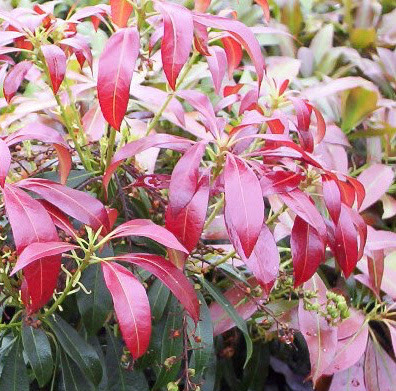 Many Pieris (pictured above), which is now showing great colour as new shoots emerge. Ilex (pictured opposite), which is great when used as bushes or trained as a leader to a cane. For up to date prices and availability, call us on 01404 814847, or email the office (peter@rainbowplants.co.uk). 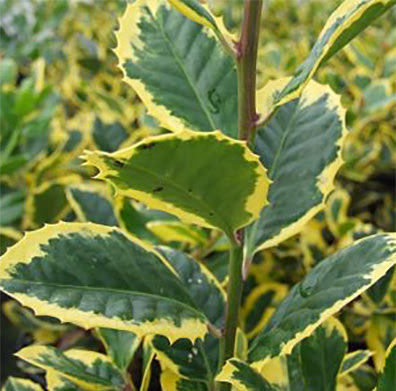 We can also source plants from trusted nurseries across the UK, if you can’t find what you want in the list.